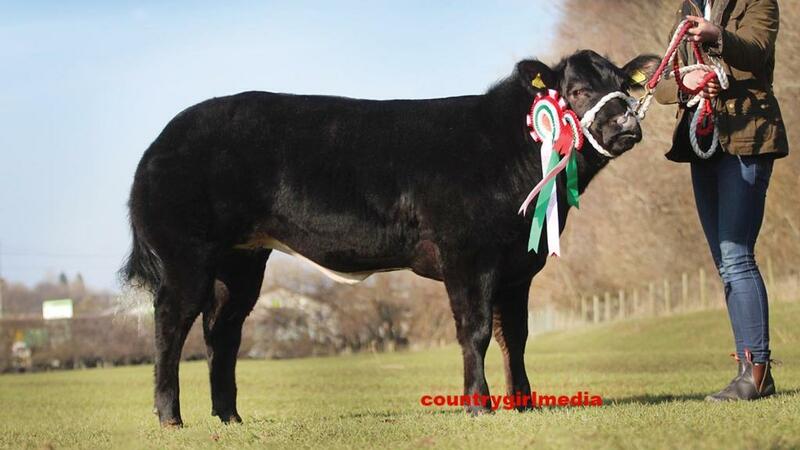 A new market record of £9,100 was set at Ruthin’s sale of show potential cattle by the pre-sale show champion, Dare To Dream, an eight-month-old British Blue cross heifer. Consigned by J.M. and A.M. Lewis, Llanwrda, Carmarthen and shown by Dafydd Lewis and fiancée, Caryll Howells, the daughter of Dragon Blues Firefly out of a Limousin cross cow was going one better than its half-sister which had been reserve supreme at the event las year. It was knocked down to one of the judges Eddie Morgan, in partnership with Sam Jones, Cilycwn, Carmarthenshire. 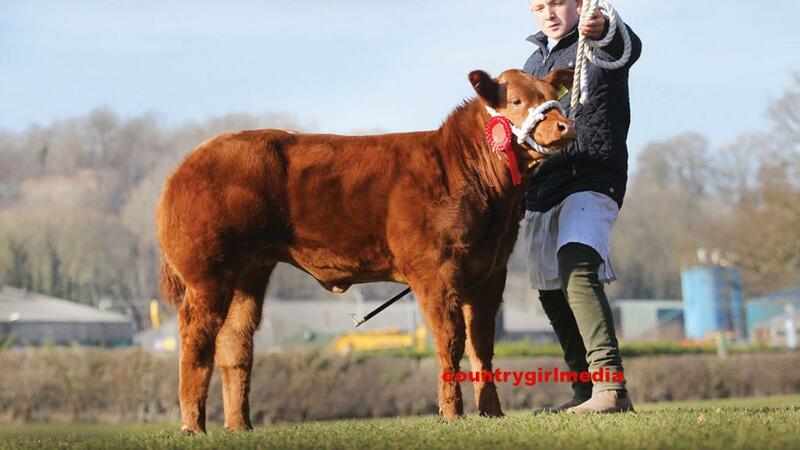 Next at £3,250 was the winner of the future showman heifer class, a four-month-old Limousin-sired heifer from P.J. and T.A. Jones, Builth Wells selling to Phil and Sharon Sellers, Lincolnshire. The winning Limousin-sired heifer and reserve heifer champion, Brutus Naughty But Nice, a nine-month old Cwmlimo Hercules daughter from Dai Brute, Brecon went on to sell for £3,100 to Blair Dufton, Huntly, Aberdeenshire. Mr Brute also had the champion steer, May 2017-born Brutus Top Man by Brutus Cracker sold for £2,800 to the other judge, Aled Roberts, Anglesey. The second prize winning Limousin sired heifer from D. Hughes, Ty Nant, Corwen made £2,900 going home with E. Layton, Leominster. 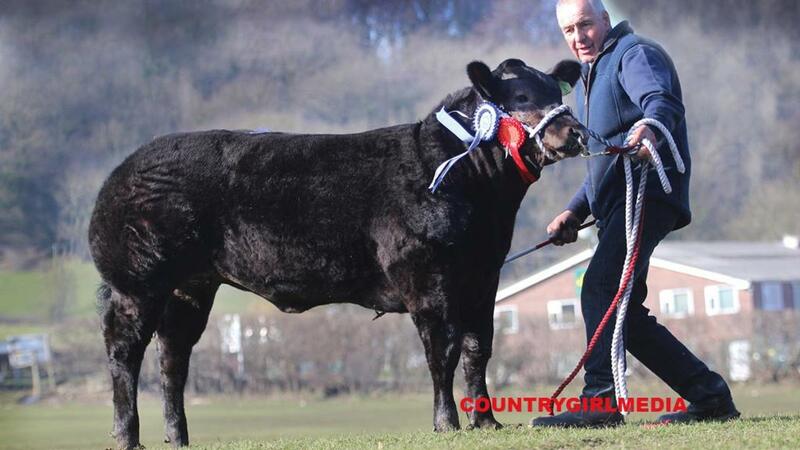 Trefor Jones, Llanllyfni took £2,750 for his winner of the heifer sired by a Genus bull class, a British Blue cross knocked down to E. Davies, Shepton Beauchamp, Somerset. The unhaltered champion, an 10-month-old pure Limousin steer by Liscon Bigshow from Bowen and Bowen, Welshpool sold for £2,150 to Backmuir Livestock, Keith, Aberdeenshire. Another pure Limousin steer, by Forever Brill from Tecwyn Jones, Llanrwst which shown by Dylan Jones, won the future showman steer class and took the reserve steer title before selling to Gareth Taylor, Holyhead for £1,700. Averages – 20 heifers, £2,251; 7 steers, £1,618.57; overall, £2,087.04.